Into Nature is the follow on book from the bestseller I am here now. It's a playful guide to the inspiriing, soothing, reinvigotation power of mindfulness connecting with the natural world around us. 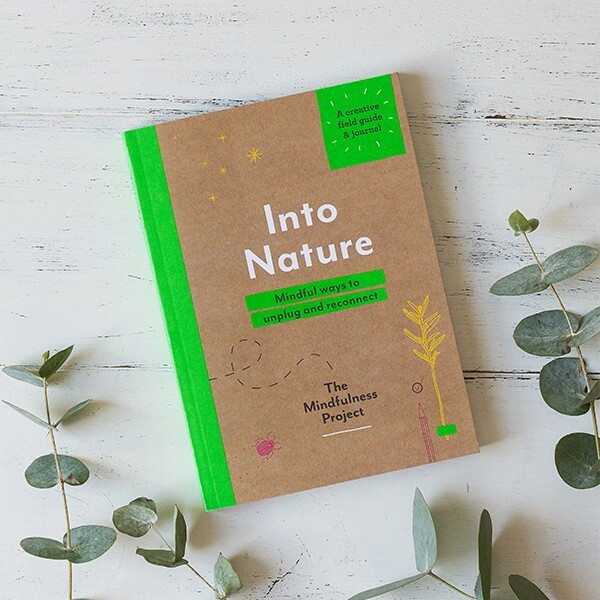 Discover how to bring mindful nature connection into your everyday life with over 70 playful exercises, guideposts for your outdoor exploration and a ‘field notes’ section for documenting your findings and insights. This hands-on guide is the ultimate mindful nature connection field guide and companion, ideal for those new to mindfulness and nature connection, as well as more experienced meditators. It also makes the perfect gift for introducting mindfulness and nature connection to a friend.